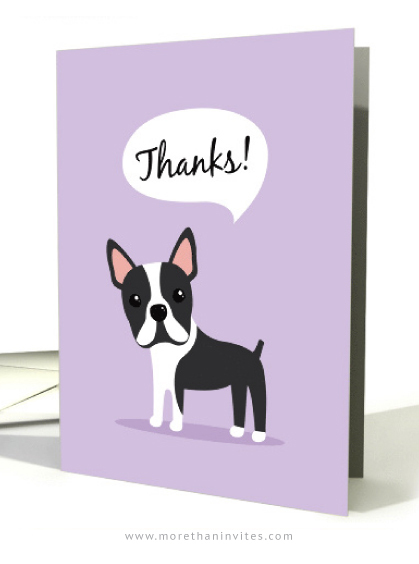 Greeting card featuring a cute cartoon Boston Terrier on a purple background with a speech bubble and the text “Thanks”. Blank inside, add your own text. Perfect if you would like a Boston terrier themed thank you card for a pet sitter etc. Available from Greeting card universe.